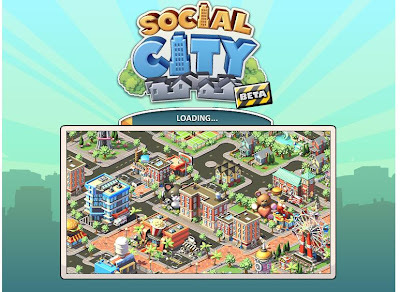 Social City is a brand new game released today developed by Playdom, creators of Tiki FarmSocial. 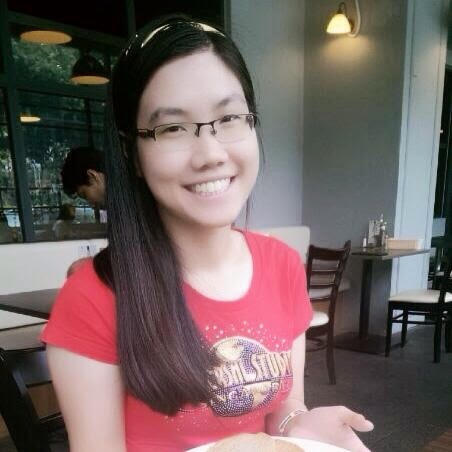 My youngest sis also play Tiki Farm game in facebook before. She told me about all games from Playdom, looked as very cute... Social City allow the players to build their own unique city. For me, this game is familiar as SimCity who played by anybody who love Sim games. When you start a Social City, it starts out with a small city, which you can expand by purchasing new buildings, entertainment, and landscapes. 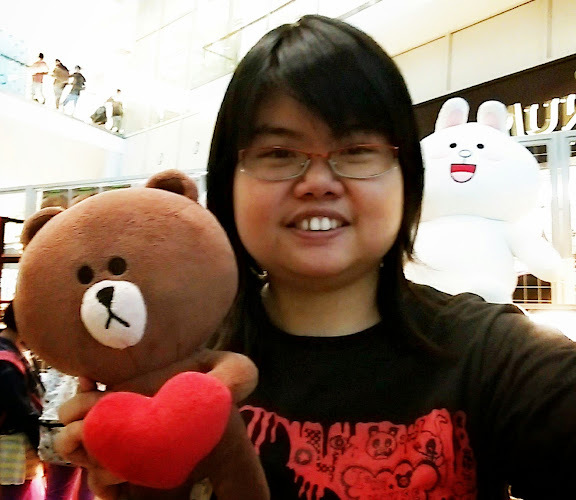 It will give you more experience of keeping their visitors happy by building some leisure activities, placing objects, and assigning a job to a factory. The assignment of job factories is an important because you need to gain more money by selling the cookies, radio machine, dresses, toys, books, and etc. I'm really enjoying Social City. 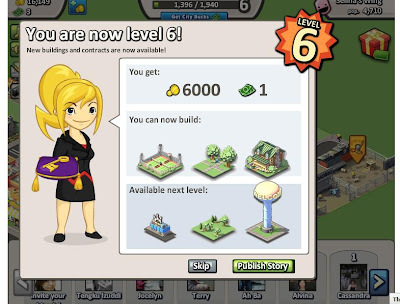 :) Finally, I get a level - 6 when I jump to next level and get rewards or unlock the building! You can see small people can walk and work in your city. You feel like god who take care of your world! 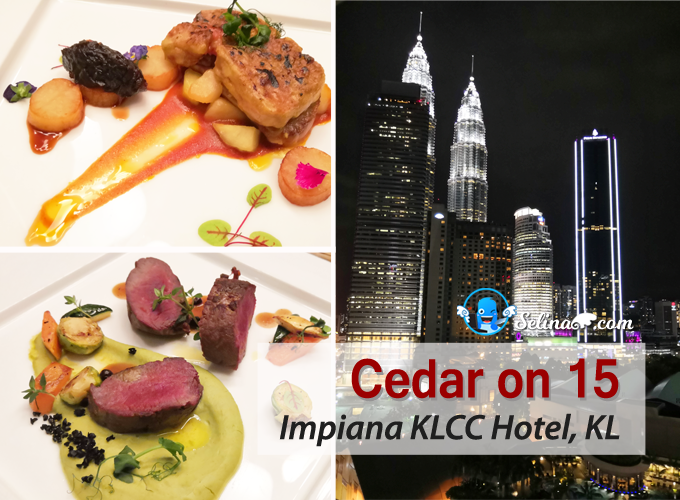 There are many bulidings, like community centre, thearte movie, hotel, office building, police station, coffee shop, pizza restaurant, and others. I like it's easy to move the houses, buildings and build roads for "free"
The interface is easy to figure out about how to place and build what you like... 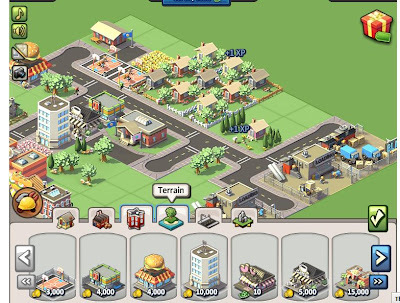 When you already level up or get alot of money from what you make money with selling toys, books, coffee bean, and many..it can help you to unlock the building and grow the size of city limits if your population is really big. 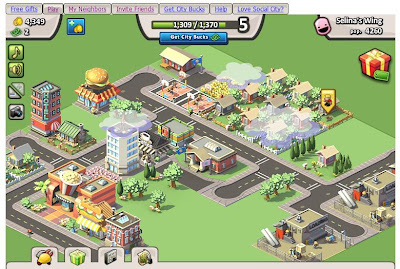 get it's very rewarding and making your city better and better.The Social City game looks great, and get many bonuses when you do nice job to make your city's population increase..
You can decorate with trees and different flowers to make your city is beautiful and get free gifts, such as very cute teddy bear statues, and special things when your friend send a gift to you! But, there is getting the disadverstages for this game..For example, you cannot rotate any of your buildings... No cars and flying birds are around the city, but you can see the residents walk along the street, sitting in outside of coffee shop, playing the basketball, hawk wares outside stores, mow lawns, and even work in the factories. So, it looks as alive!